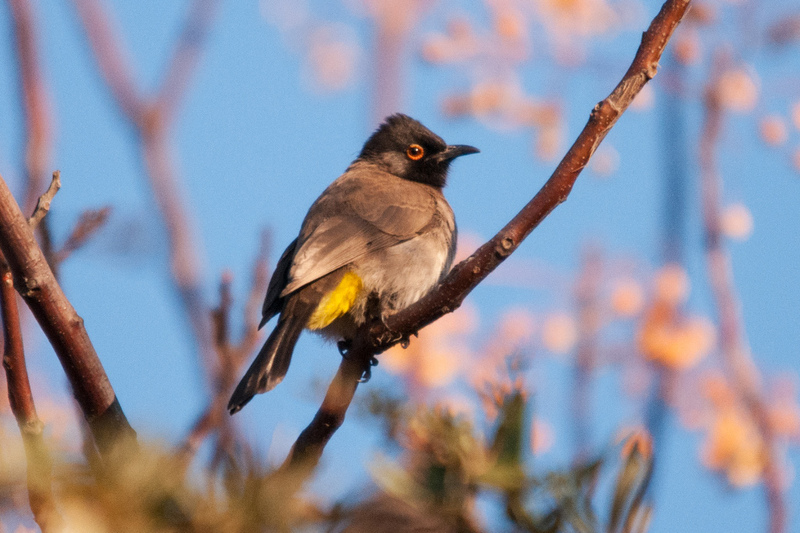 Potchefstroom and the surrounding area does not immediately spring to mind when considering where to go birding, however it is one of those parts of South Africa that is quite rewarding if you “dig a little deeper” and the good thing about atlasing is it can be done anywhere. Our son Stephan and his family – wife Liesl, kids Jocelyn and Christopher – have been resident in Potch for a few years now and we tend to visit them on a fairly regular basis, especially when one of the grandkids is having a birthday, as it’s an easy 2 hour’s drive from our home in Pretoria. When we visit it is usually for at least a weekend, so I always try and fit in some early morning atlasing and have atlased a number of pentads (5 x 5 minutes if measured by coordinates, about 8 x 8 km’s in actual size) over the past few years, most of which do not attract atlasers, making the effort seem that much more worthwhile. It has a University (which my wife Gerda attended back in the late 1960’s so clearly a top university) and a nice “small town” feel – you don’t have to go very far for anything and traffic is not really an issue. 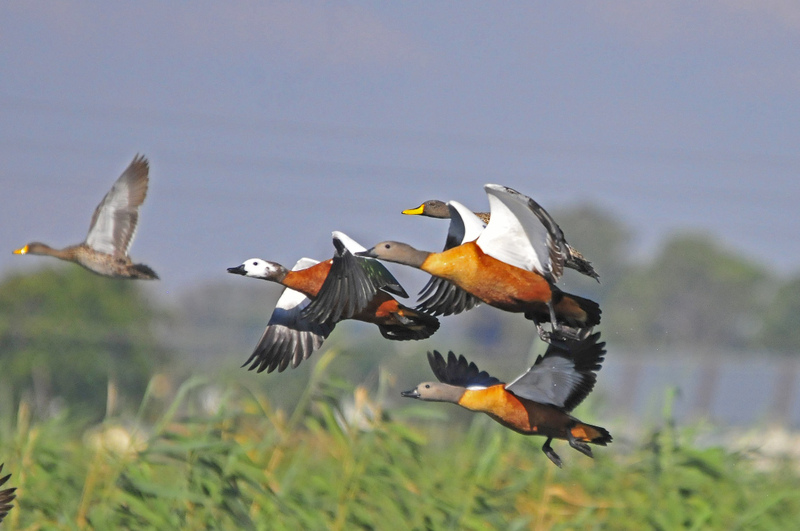 It also has a Bird Sanctuary – the OPM Prozesky Bird Sanctuary – which I was aware of but didn’t get around to visiting until March 2013, probably because my experience of bird sanctuaries in general has been mixed. I was glad that I ignored my better judgement and the lukewarm response of a few Potchers when I enquired about the bird sanctuary, and paid it a late afternoon visit. The sanctuary borders the suburbs on the southern side of Potch and adjoins the sewerage treatment works so the smell may be a problem for some but I found it entirely bearable during my 2 hour visit. I parked at the entrance where there is a small office, but as there was no one in sight I proceeded to walk towards the ponds. 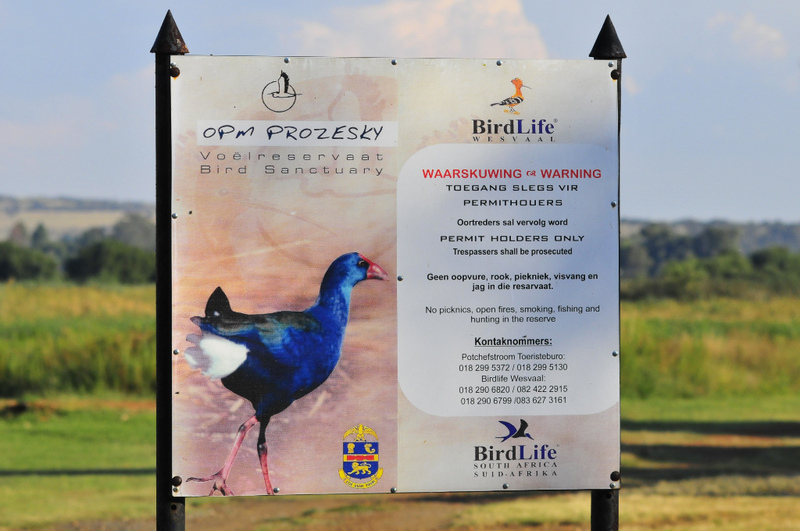 Encouragingly, there was a signboard erected by Birdlife Westvaal which provided some info on the sanctuary. 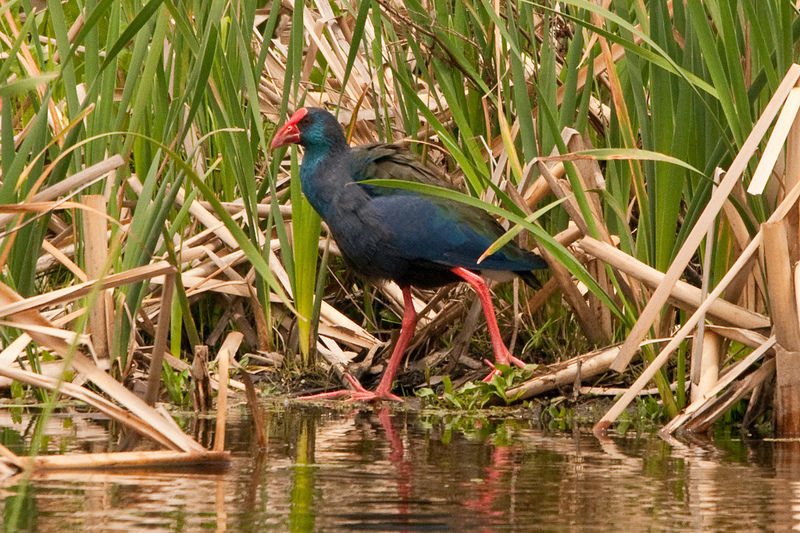 The sanctuary comprises a number of large ponds, some with neat bird hides, with wide pathways around and between the ponds which make for a pleasant walk, while keeping an eye out for birds in the sometimes dense undergrowth along the pathways. Where there are gaps in the vegetation you can look over the ponds which were well populated with Ducks (Yellow-billed Duck, South African Shelduck) and Teals (Cape Teal, Red-billed Teal). 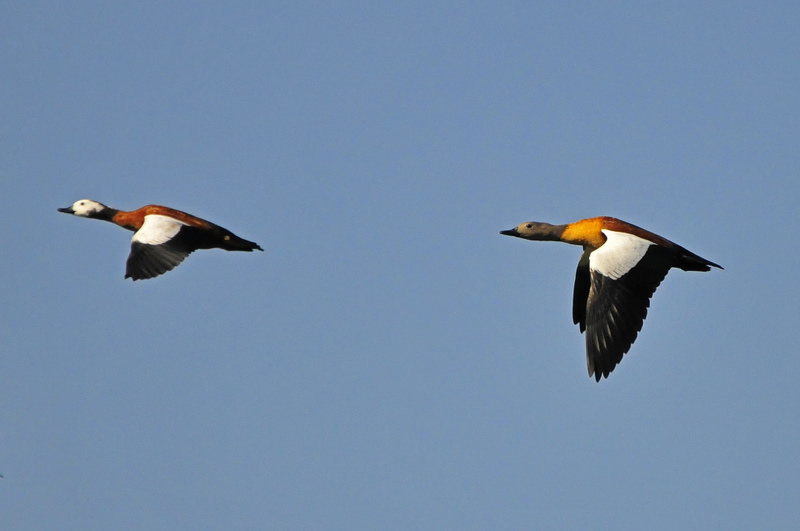 As I got too close for their comfort the Ducks and Teals took to the air and wheeled around, landing on a more distant part of the same pond or moving to an adjoining one. As they flew past I was able to get photos of the Shelducks, Male and female showing how they differ in plumage, particularly from the neck up. 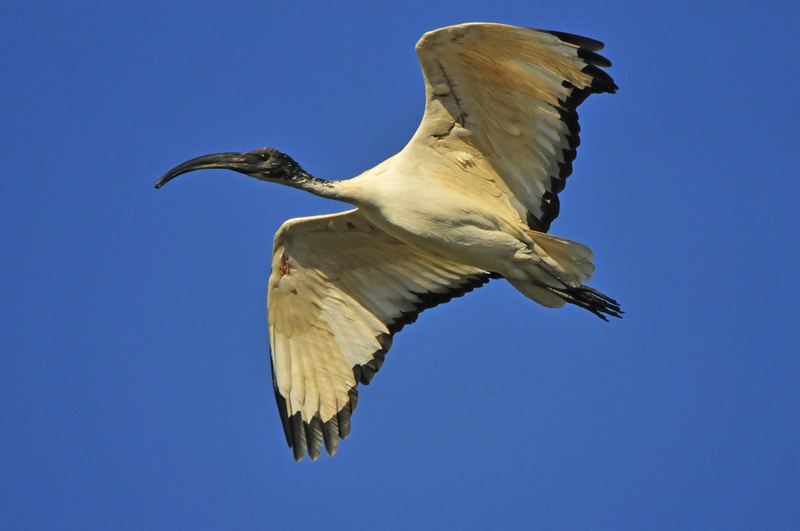 Sacred Ibises were also plentiful and doing their best to look elegant as they flew up and past me, though not quite managing it. The Afrikaans name Skoorsteenveër translates literally to “chimney sweep” – clearly from images of chimney sweeps in Europe of old, getting ready to wash after a day’s work, blackened by soot on the face, neck and arms, otherwise lily-white over their body. There were not many waders present as suitable wading territory is limited, but the ubiquitous Three-banded Plover was present, not far from an African Purple Swamphen making his way carefully through the reed fringes. 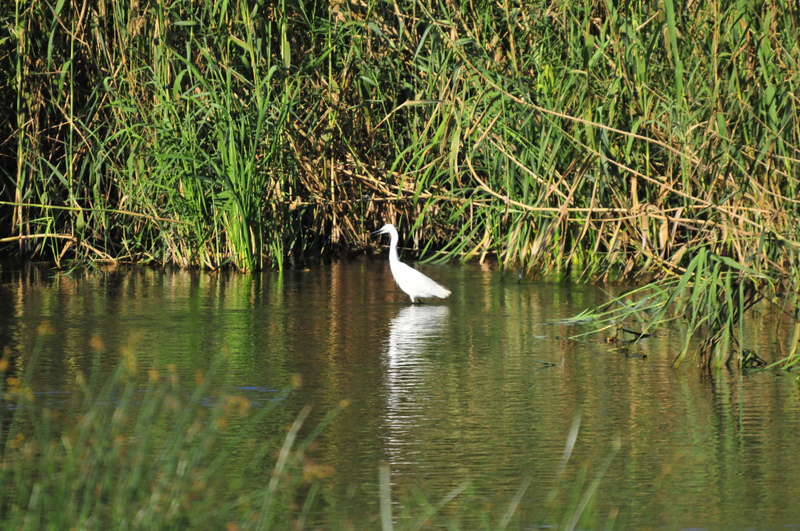 On a smaller pond, a hide allowed me to observe a Little Egret in action without disturbing it. 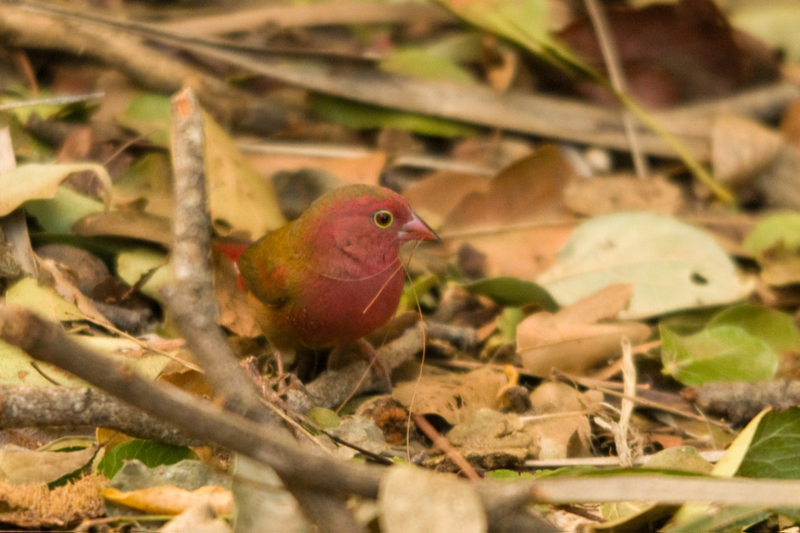 Moving away from the ponds, the bush and long grass held numbers of birds, among them Red-eyed Bulbul, Red-billed Firefinch and Black-throated Canary. 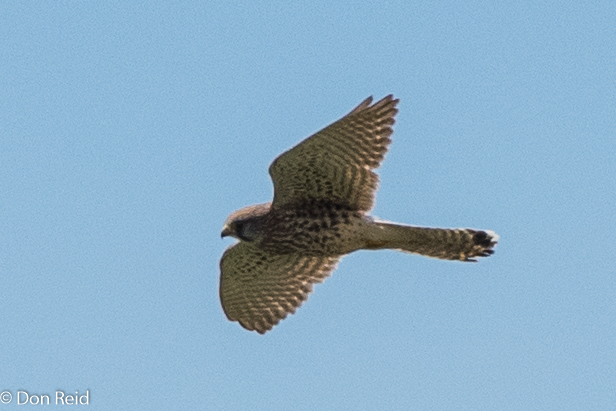 On the way back to my car I spotted Wattled Starlings high up in the trees, while a mixed flock of swallows entertained me with their swooping fly pasts – I noted Barn, Greater-striped and SA Cliff Swallows all enjoying each other’s company. Back in the car I reflected on how pleased I was that I had taken the time to explore this worthwhile sanctuary – the fact that I was the only person there (as far as I could tell) during the 2 hours, attests to the fact that not many people know about it or frequent it. On the plus side I’m sure the birds enjoy the peaceful habitat for feeding and breeding opportunities and that’s surely what a sanctuary is all about. 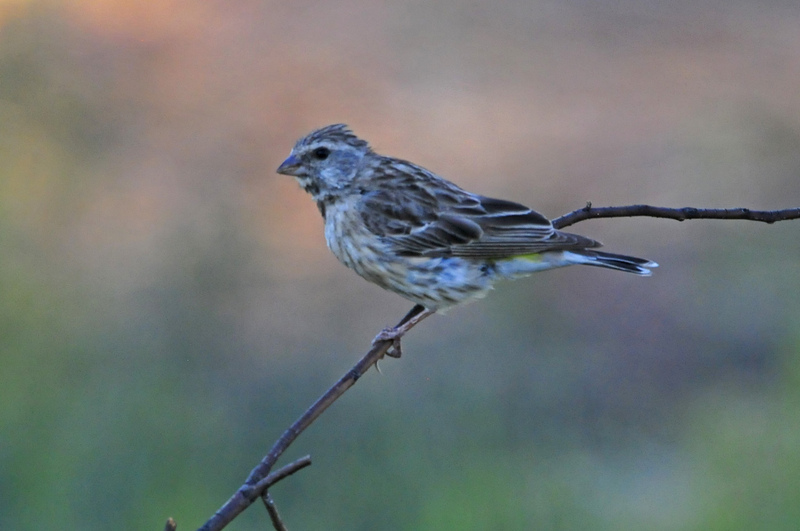 Potch has some fine birding in the surrounding areas, but more about that later.